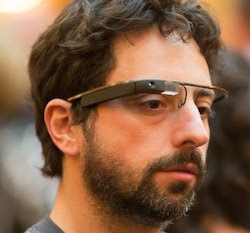 Google Glasses: Hot or Not? When it comes to wowing the crowd with technological innovations, there’s no company as successful as Apple. No one can forget those breathtaking moments when the great Steve Jobs unveiled yet another revolutionary product captivating the crowd like a magician pulling a rabbit out of a hat. No company, so far, have managed to achieve that ‘magician’ status until very recently. -And that company, if you’re wondering, is none other than the search giant Google. It has been more than a week since Google unveiled the amazing new Google Glasses, and the world is already going crazy over it. The demo video was uploaded on 4th April, and so far, it has got more than 13 million views. Moreover, almost every major newspaper and news channel covered the story, thus making Google Glasses one of the most coveted innovations of the decade. Google Glasses, or Project Glass, is an under-development project by Google that brings augmented reality to a head-mounted display (HMD). As compared to other HMDs, this one looks more like goggles and less like some Robocop accessory, which is one of the biggest USPs of the project. Despite all the awesomeness that comes packed with Google’s ‘pet project’, there have been growing concerns about privacy along with some hilarious parodies openly suggesting a dystopian Google-owned future. Here’s a quick rundown of points that make Google Glasses hot, and ones that don’t. Voice commands have existed for a long time now, but it wasn't until Siri came along and showed the world the right way of doing things. Same is the case with Google Glasses, a project which, if works as demoed, will revolutionize the concept of augmented reality. You see, augmented reality, like voice commands, has existed for a long time now; however, no project has managed to really impress us so much so that we’d make it a part of our daily lives. Google Glasses promises to change that paradigm and make augmented reality an integral part of our life. If you've ever envied that Terminator eyesight, Google Glasses is like a dream come true for you. To be fairly honest, it is the most innovative thing we've seen in a very long time. Google already has an amazing lineup of products. From the classic text search to news updates, Google’s got it all. So, it won’t be hard to imagine you walking down a street, seeing a rare flower, then just looking at it for a few seconds and knowing its name. Moreover, you could lookup where you could buy those flowers using Google Maps, navigate to the shop, and buy them using your Google Wallet-integrated phone. Finally once you've fitted them neatly in that beautiful vase, you can snap its picture and share it with your friends on Google+ or any other social network. Cool huh? Google hasn't got a good track record when it comes to dealing with users’ privacy. In this department, the search giant has messed up many times before and it has been a concern amongst many of its users. Privacy advocates have prophesied a much more dystopian future wherein everything you see is recorded and sold to advertisers. Moreover, it’s really hard to put up with ads or ‘sponsored content’ popping up in front of your eyes the moment you wake up. Even if Google assures us otherwise, there will always be concerns about the project’s privacy handling. Imagine riding a bicycle on the streets of New York wearing one of those Google Glasses? Yes, it’s crazy!! As awesome as it looks, there’s a huge chance you’ll bump into something -- or someone? -- unexpected and make them wonder if you’re drunk. Also, walking around with notifications popping up in front of your eyes isn't something you’ll put your money into. The demo video shows all the great features of the product; however, it would be really hard to say anything overwhelmingly positive about it unless the we get to see the actual product hands-on. For now, let’s just hope Project Glass lives up to its expectations. Gets so much from you. And hides so many things from you.